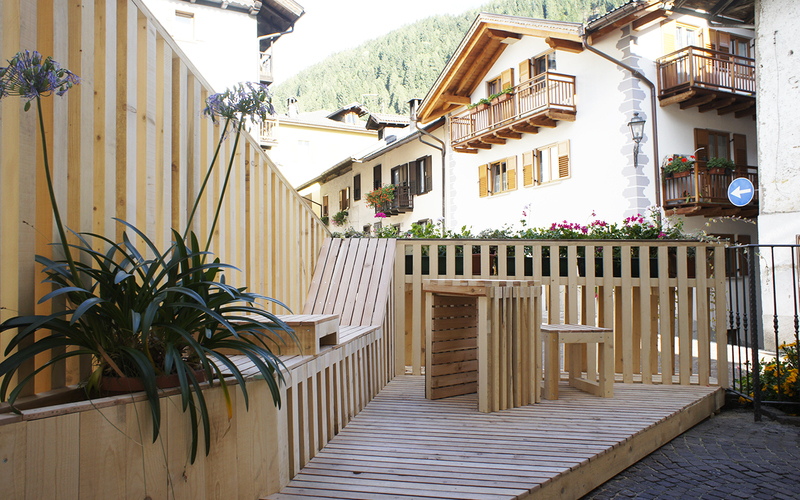 Camposaz is a workshop that takes place in the village of Tonadico (TN) – Italy, in an area of great landscape value at the feet of the Dolomites. 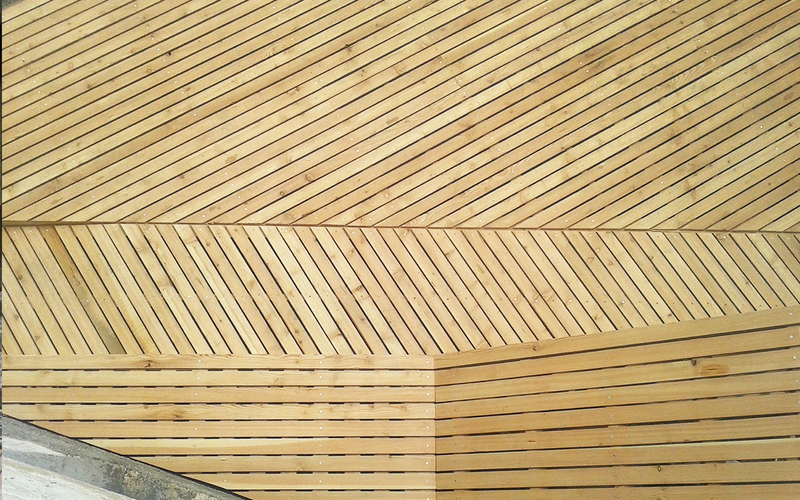 The aim of the workshop is to design and self-build wooden architectural objects for landscape enhancement. During the Camposaz workshop the participants are required to ideate and assemble wood constructions, following the thematic suggestions provided by the organizers and developing eco-friendly, practical and sustainable design projects. Camposaz is an initiative stemming from the collaboration between the Municipality of Tonadico and the cultural associations “Aguaz”:http://aguaz.it and “Campomarzio”:http://www.campomarzio.name. 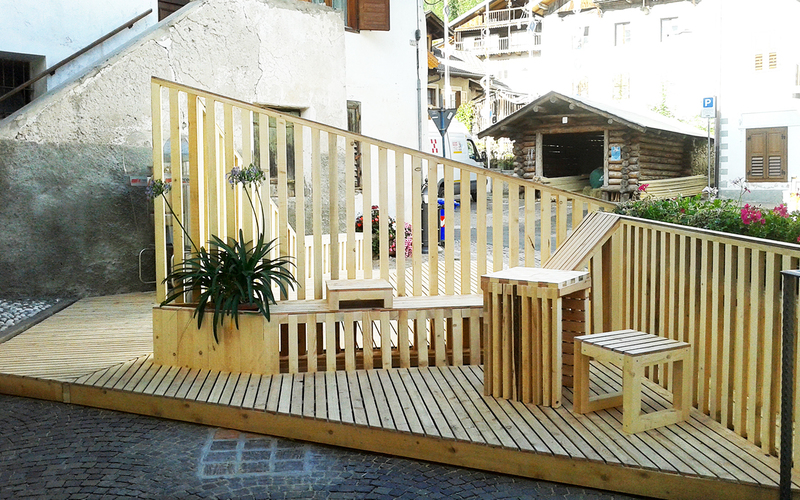 This small urban intervention in placed in the historic centre of Tonadico. 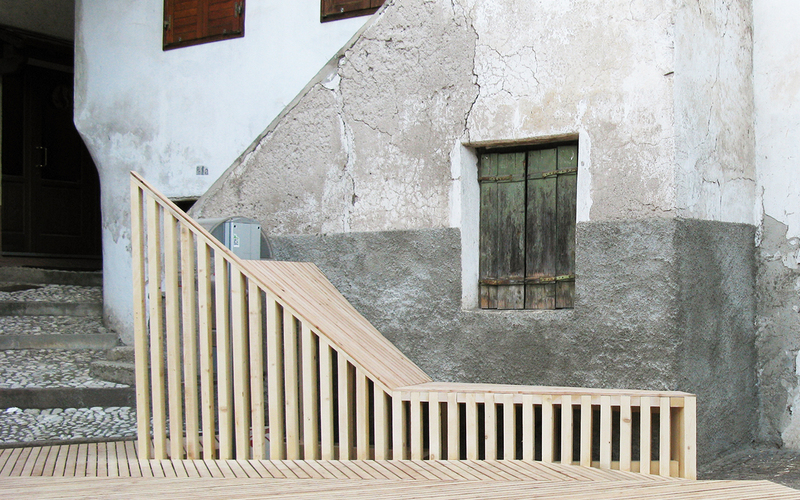 In a previously unused and unnoticed urban corner the participants have built a stage-set for concerts and public activities. 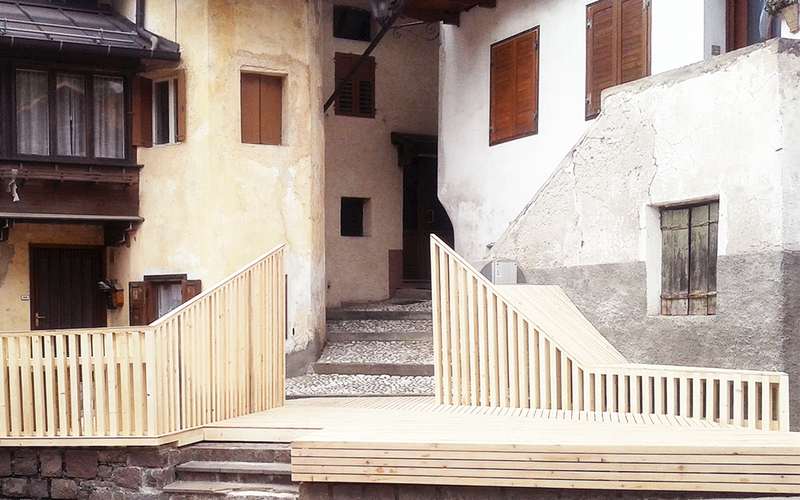 The aim of the structure is to provide a multifunctional and comfortable space, creating a gateway and an entrance to a picturesque staircase that leads towards a narrow alley. The new structure divides the urban space in two parts. Behind the stage there is a small urban living room with benches, table and stools.